Shopping for exotic car deals near Marrero, LA, isn’t as simple as walking into a dealership and asking when you can sign the papers. It takes more time and foresight than that, especially if you want to walk away with a reliable car at a reasonable price. But many drivers don’t seem to realize just how important it is to take these steps before they start shopping. If you don’t know what to do before you head to the dealership, check out some of the guidelines below. They can point you in the direction of a car purchase you’ll feel great about for years to come. What’s the first step you’ll want to take before you start shopping for exotic car deals near Marrero, LA? Checking your credit score, of course. You should check your credit score on a regular basis, but if you haven’t done it in a while, now is the time. This will let you see where you stand financially, which can help you better assess whether this is the right time for you to shop. If your score is high, you know you can move forward with the shopping process. But if you know you have some work to do on your score, you can push your purchase off to a later date. Next, it’s essential that you figure out your budget. You won’t know what constitutes affordable exotic car deals if you don’t even know how much you can afford to spend. Take a look at your finances, considering how much you have in the bank and how much money you have coming in every month. Take those numbers to figure out how much you want to dole out for your next vehicle. Don’t put yourself in unnecessary financial straits for no reason. Once you know a bit more about your finances, it’s time to find an ideal ride to drive around near Marrero, LA. You’ll want to go to a dealership with good reviews and a reputation for making its customers happy. Don’t settle for anything less, or you may get into a car that doesn’t meet your needs on a daily basis. 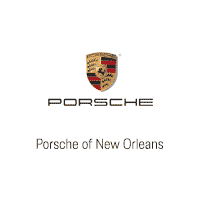 When you are ready to shop for amazing and affordable exotic car deals, make a stop by Ray Brandt Porsche.